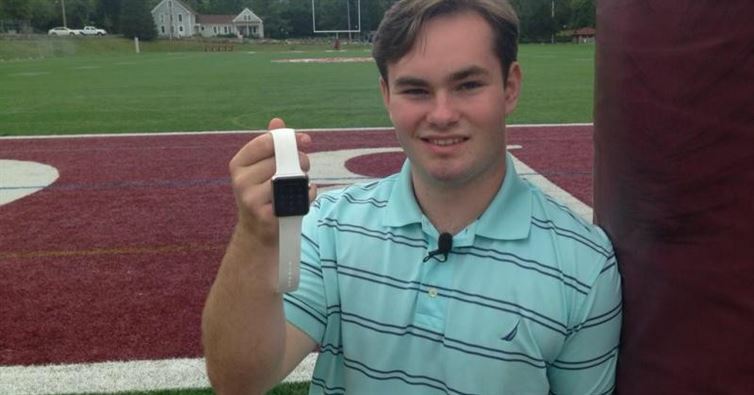 The Apple Watch is loaded with gimmicky features and applications that nobody ever uses, but a high school football player in Massachusetts says the Apple Watch’s heart rate monitor saved his life. 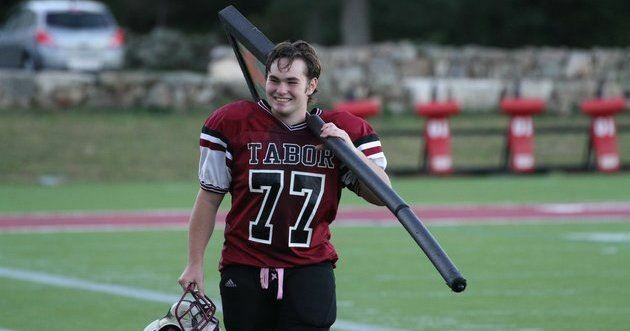 Paul Houle Jr., a 17-year-old Tabor Academy senior in Cape Cod, Massachusetts, was suffering from chest and back pain after practice one day. Houle was tired and dehydrated after his second training session of the day. Despite how sore he felt, the young lineman figured the pain was normal after a hard day of training, so he showered and went to sleep in his dorm room. When he woke up, Houle checked is watch to see that it was registering a heart rate of 145 bpm- about 70 beats higher than the average resting heart rate. At first he thought his watch was broken, but after consulting his coach and the team trainer, Houle went straight to the hospital. 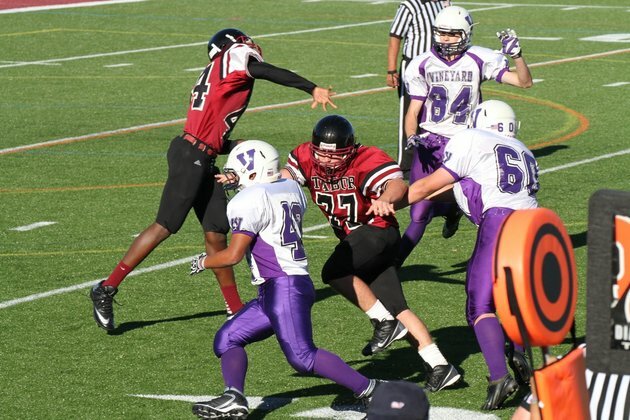 As it turns out, Houle’s spiking heart rate was a symptom of rhabdomyolysis – a breakdown of muscle cells that are released into the blood stream that can lead to organ failure. According to Apple’s website, the watch uses “LED lights paired with light‑sensitive photodiodes to detect the amount of blood flowing through your wrist at any given moment.” This feature is apparently pretty useless during workouts because it has trouble making an accurate read while in motion. Fortunately, Apples crappy heart rate feature is good at providing an accurate resting heart rate – which is also pretty useless unless something is horribly wrong. Since his near death experience, Houle has apparently been contacted by Apple CEO Tim Cook, who offered him a brand new iPhone and a summer internship at Apple headquarters in California.